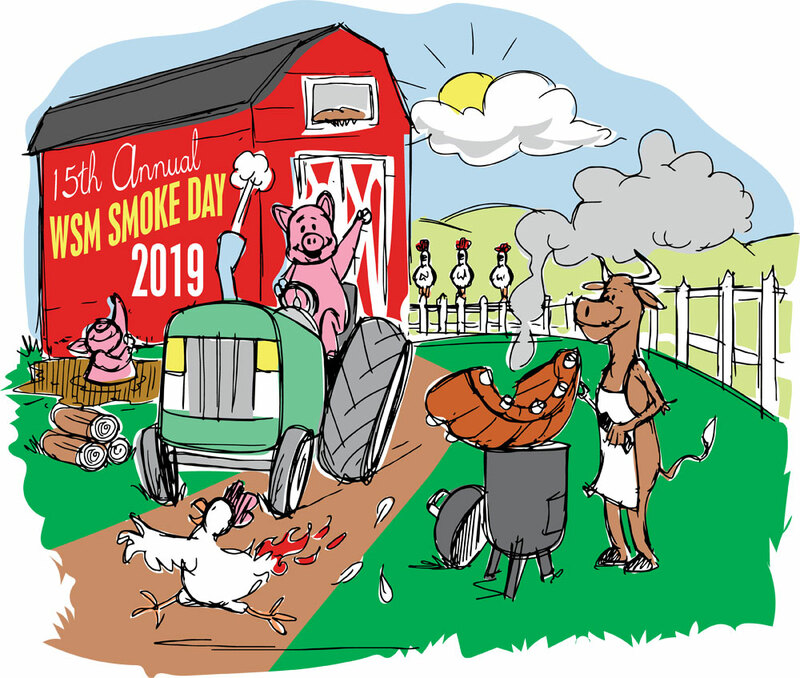 It's time to kick-off WSM Smoke Day 15, our annual celebration of the Weber Smokey Mountain Cooker that's held each year on the Saturday of Memorial Day Weekend, which this year is May 25, 2019. Actually, the date is not very strict. We know Memorial Day Weekend is a busy time for many of you, so you can pick a day to celebrate WSM Smoke Day that fits your schedule! We've even flexible on whether you actually own a WSM! I would encourage you to buy a WSM and cook on it May 25, but we welcome everyone to our annual celebration regardless of your pit. Why do we celebrate the WSM? Well, it was the idea of TVWBB member Joel Kiess. He said we should have a virtual barbecue celebration, everyone cooking in their backyards on their Weber Bullets on a single day, then reporting back here what was cooked, preferably with plenty of photos. We did it for the first time in 2005 and now we're on our 15th year! 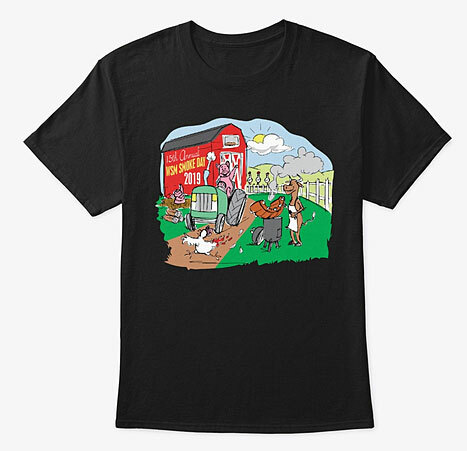 Order A Smoke Day T-Shirt! When posting on social media, please use hashtag #wsmsmokeday so I can find all of your great content. Want To Host A Smoke Day Event? Are you the social type? Want to host a Smoke Day party? Feel to free to organize your event by posting messages in this forum. The countdown to WSM Smoke Day 15 has begun! Hope everyone has fun and I can't wait to see how YOU celebrate! a final headcount will be taken on July 12th. Just pinned on the map! Not sure what will really happen but, maybe some friends for a big “Bog Fest”! Fire up several grills direct and indirect, the WSM chugging along tables all over the back yard food everywhere! Sounds like a ton of fun to me. Wife probably won’t much care for it but, now and then, I need some reason to raise the roof a little! I’d love to come for a visit to the pig villion, but, I will be loafing my the lovely waters of Lake Huron at my sister in law’s cottage! I get there Thursday and the rest arrive Friday night. Nice invitation Jim, thank you! Last edited by Timothy F. Lewis; 04-16-2019 at 06:57 AM.